Is your business in view of the mountains? Celebrate it! 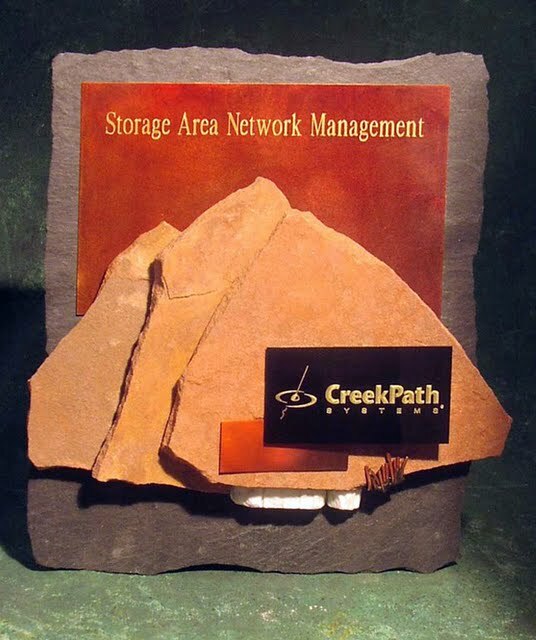 The 3 flagstone peaks are individual in every case just like those who participate in your event. Engravable, brass, metal background with black slate. On the bottom is the detail the element of snow and grass.